Published: Dec. 30, 2018 at 05:42 p.m. Published: Jan. 1, 2017 at 07:26 p.m. Published: Jan. 1, 2017 at 05:20 p.m. 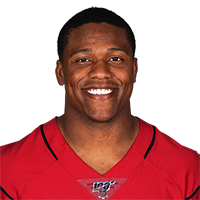 The Los Angeles Rams' attempt at a trick play fails as wide receiver Pharoh Cooper throws an interception to Arizona Cardinals cornerback Harlan Miller.